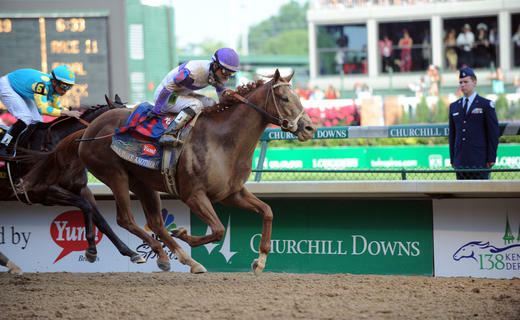 The 138th Kentucky Derby, also known as the "Greatest Two Minutes in Sport", took place today in Louisville, Kentucky. Interestingly enough, the focus of this race is not only on the horses. It fact, since its early days, fashion has played a major role at this sporting event. Women, for instance, usually wear extravagant headpieces and men, on the other hand, tend to sport suits in very bright hues. This might explains why this race has now become a place to see and be seen. A colorful happening indeed!